Like Oprah, my list of favorite things is expansive, so for your sake we will count this as the first of many inspirations I will share with you. 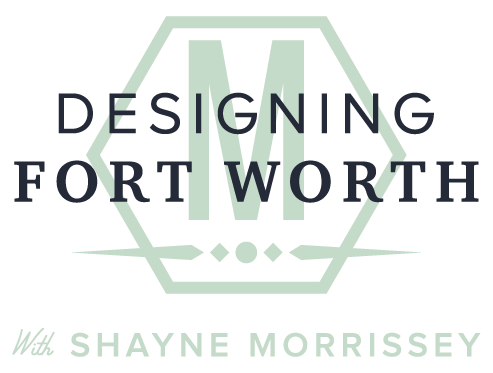 When I meet a new client for the first time, two questions are often presented to me: "What's your personal design style?" and "what's trendy right now?". The first question is one I love to answer, but I never really get used to the second question. When you are investing large amounts of money to remodel your home and have it furnished and decorated, the last thing you want is to fill it with trendy things only to turn around and repeat the process in 5 years. Come closer, I'll let you in on a little secret: Its not just for men, and its not just for clothing. I love the texture and pattern of menswear. It can be refined or rugged, dressed up or dressed down, and for that reason it is one of my favorite things. Ralph Lauren is the reigning king of menswear. Whether his designs are being worn or upholstered on furniture, I can't ever get enough! This one is a catalogue stock photo from Bassett Furniture- A recent purchase for a home I am currently furnishing. I like the compact size and low profile design of this sofa, and the neutral menswear fabric makes it a versatile piece that can be dressed up and styled with pillows that can be changed out easily and inexpensively. A sample package from a project I am working on. I applied a gray oil stain to the cedar that added a textural element while still allowing the natural color of the cedar to appear through the stain. Gray wash has quickly become one of my favorite things. I am naturally drawn to gray, and I primarily use gray palettes in client's homes, so I was excited to discover this finishing method! Applying a gray wash to a natural wood adds an interesting element that is different from typical paint or stain. Who doesn't love a little pattern? Well, in my case, a LOT of pattern! I was fortunate enough to find one of those rare gems of a client who allowed me to use these hand painted tiles on 3 walls of her guest bathroom. We only get one lap around the sun- why not make it fun? Brass is back! And it's here to stay. A lot of my clients are afraid of brass because they think of those awful cheap shiny brass door knobs and fixtures everyone had in their houses in the '90s (bless your heart). True brass carries with it a transcendent timelessness that I can't get enough of. Again, the intention is to use pieces sparingly so that they don't overwhelm. You don't want to fill an entire house with brass furniture, but a few statement pieces and some cabinet hardware go a long way. Trust me, you'll learn to love it! Trade Secret: It looks good with almost anything! Modern brass lamp displayed on an antique chest of drawers. I love the juxtaposition of styling with old and new pieces. Another photo from Restoration Hardware's modern line. I love the use of brass with the black and gray pieces of furniture. Overall, the room is cool and hard, but the brass adds a touch of warmth and timelessness to an otherwise modern space. I'm green with envy. Wallpaper envy. This is not your grandmother's wallpaper! I have been obsessing over leaf wallpaper for about a year now. I love the use of papers like these for accent walls, powder bathrooms and long hallways. 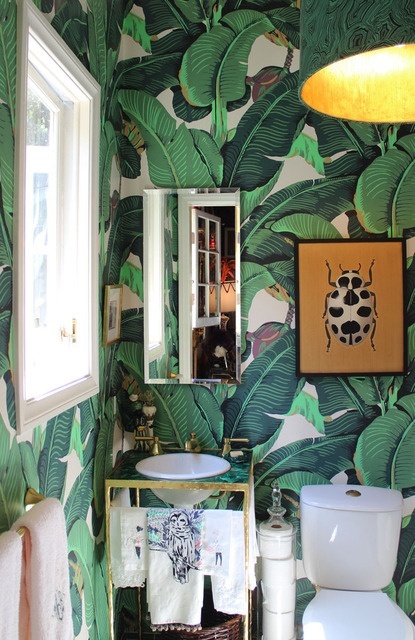 There are some truly remarkable wallpaper patterns out now. These leaf patterns are some of my personal picks! I don't know who designed this powder room, but my hat's off to them! Fashion is important to many people because it's what we live our lives in. I love seeing a good piece of luggage stored in the corner of a guest room, or a nice bag displayed in a closet. Here are some images I sourced from the web that capture fashion items being displayed in the home. This is one of my most favorite personal things: An Hermés scarf I bought last year. I had it framed for a wall in my bedroom, and I will keep it forever.